LONDON -- General Motors Co.'s European unit, Opel/Vauxhall, will build the next-generation Astra compact in Britain and Poland starting in 2015 after workers at its factory in Ellesmere Port, northwest England, overwhelmingly agreed to a new labor deal, leaving Opel's plant in Bochum, Germany, in danger of closure. Opel/Vauxhall said on Thursday it would invest 300 million euros ($381 million) in both plants, where assembly of the new Astra will start in 2015. "It's almost certain that one of GM's German plants will now be closed, probably the plant in Bochum," a source close to the negotiations said. GM confirmed today that it will halt production of the current Astra, its second-best selling model after the Corsa subcompact, at its Ruesselsheim plant, near Frankfurt, at the end of the car's life cycle, which would be around 2014 to 2015. A company spokesman said Opel did not mention the fate of Astra production in Bochum today because that plant makes an old generation of the car. Today's news focuses on which of the plants making the current Astra will get the next generation in three years. Bochum's production of the so-called "classic" variants of the Astra station wagon and five-door hatchback, which are aimed at eastern Europe, will continue as long as there is strong demand, the spokesman said. The loss of Astra production is a major blow to Ruesselsheim, where Opel is based, possibly threatening the plant's future. Roughly one-third of the factory's capacity is used to build 30,000 Astras annually. The mid-sized Insignia is also built there. The source added that some production of GM's Chevrolet brand could be shifted from Asia to Europe, with Ruesselsheim the likely beneficiary. On Thursday, Opel said capacity at the plant near Frankfurt will continue to be "fully utilized." This would leave the Opel factory in Bochum as the most likely site to be closed. The plant also builds the Zafira minivan. A total of about 600 Astras and Zafiras are made daily in a three-shift operation at the plant, according to Opel's Web site. The Opel spokesman added that Bochum is protected until 2014 by an labor agreement between the company and its unions. The decision on whether to close Bochum will be one of the most dramatic so far as Europe's carmakers look to restructure or consolidate in response to more than four years of falling demand and profits. Many factories are running at partial capacity -- analysts estimate automakers have to cut some 3 million cars, or 20 percent, from their production lines. The UK deal means an extra third production shift will be added at the Vauxhall factory to ensure 24-hour-a-day operation, as well as the introduction of weekend work to guarantee the factory works at full capacity. Britain's Unite union said 94 percent of those balloted voted in favor of changes to working conditions and that some 700 jobs would be created at the plant, securing its future until 2020. The source added that production at the UK plant, whose sole product is the Astra, would initially rise from 140,000 cars a year to 160,000, with the potential to reach about 220,000. Workers agreed a four-year pay deal including a pay freeze for two years, followed by rises of about 3 percent for the next two years, the source added. "We have been able to develop a responsible labor agreement that secures the plant's future," Vauxhall Chairman Duncan Aldred said in a statement on Thursday. Opel is under pressure from GM to cut costs and reduce excess capacity as its vehicle sales fall in Europe. 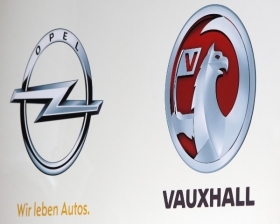 In the first four months, Opel/Vauxhall's sales fell 16 percent to 294,998 in the EU and EFTA countries, according industry body ACEA. Total industry sales fell about 8 percent. European sales of the Astra were up 3 percent to 327,458 last year compared with 2010. Opel sold 327,717 Corsas in 2011, an increase of 2 percent from 2010, according to market researchers JATO Dynamics.